The Dr. Kathryn A. Watson Child Development Learning Lab, in coordination with the parents of enrolled children, offers children the opportunity to develop physically, cognitively, socially and emotionally within a prepared conducive to active learning. AWC CDLL has an open door policy. Parents are welcome to observe or participate at any time. The overall program goal is to encourage each child to be a responsible self-directed individual with a positive self-concept. 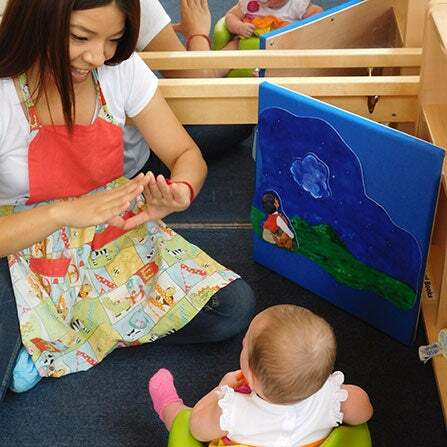 The AWC Child Development Learning Laboratory has several purposes. 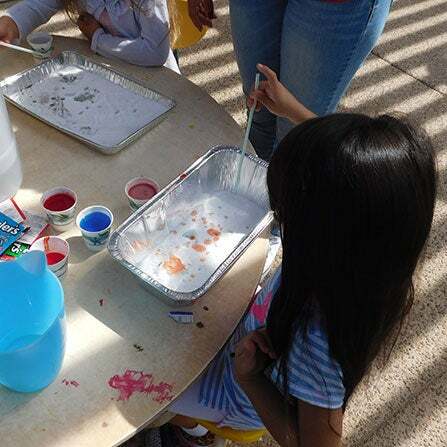 The laboratory setting is where AWC Early Childhood Education students observe and learn to work with young children as part of their college program. Each AWC student will become a knowledgeable and experienced child care professional with an understanding of child development and observation, appropriate practices, and the planning and preparation necessary to create a quality environment for young children. The lab also provides a safe, healthy environment where young children learn through play with developmentally appropriate activities, alone and with other children their age and are supervised by qualified edu-care personnel. Each child will become a responsible self-directed individual with a positive self-concept. Experiences in the CDLL will allow each child to make a successful transition from home to school, develop social skills, an interest and joy in learning, feelings of success and security, responsibility and self-control, creativity, self-expression, and critical thinking skills. The lab also benefits the AWC/NAU faculty, staff, and students. The lab is a high quality place to leave their children while attending classes or working on campus. 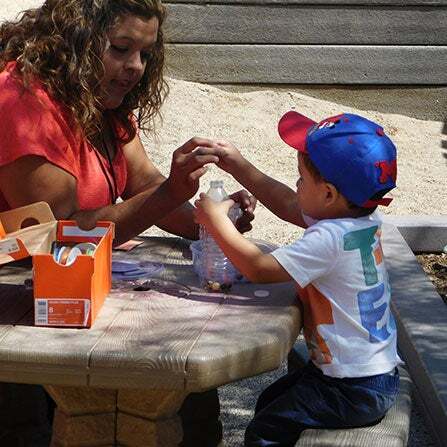 In order to enroll your child in the CDLL you must be a Faculty, Staff, or student at AWC, NAU, or U of A Yuma. If you are considering enrolling your child we recommend that you place your child on our waiting list. 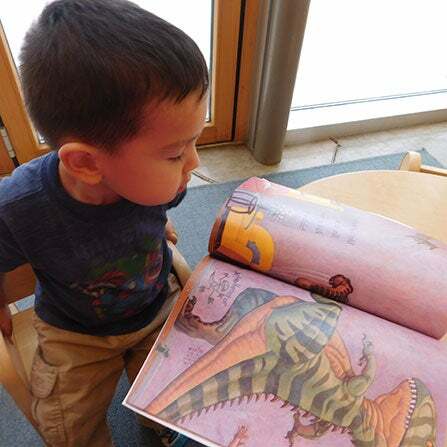 To be placed on the waiting list you may call, e-mail or stop by and provide your child's basic information to Alma Barrandey at Alma.Barrandey@azwestern.edu or call 928-317-6107. You will be asked to provide your child's Name, Parents Name, Date of Birth, Phone Number and any additional comments. When spaces become available they are filled from the waiting list. Full Time Child Care, ages 6 weeks to 5 years (preschool). Tours of the CDLL for Courses, Organizations, Clubs, and Special Events. We are a Training site for students to complete observation assignments as required by their Professor. To maintain your child’s spot for the Fall you must maintain their enrollment through the summer session. You may choose to enroll for the entire 6 weeks of summer or enroll for only 4 weeks in the summer session. This must be done with prior notice to the CDLL. Late Pick Up Charge: 1-15 min, $10.00 - 16 plus minutes, $10.00, late per day $1.00 per minute. All fees are paid at the AWC Business Office (located on the upper floor of the AWC 3C Building). Refunds following withdrawal from the program with notice are handled through the Business Office.